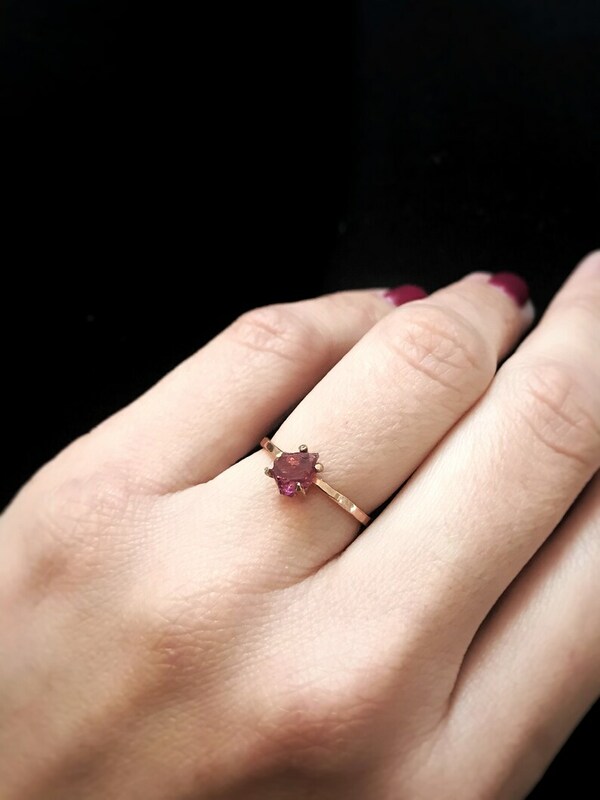 Delicate Garnet Ring with stone is the focus on this handmade 14K yellow gold filled ring is a dainty ring. The raw handmade cut is unique ring, exactly the way it was created by nature. This raw stone is set in a 14K yellow gold filled handmade claw setting to reveal the maximum amount of this unique stone. ~️ material: 14K yellow gold filled band on this ring has been textured to compliment the rustic look. These stone have been created by nature so not all stone are identical. Each stone will be vary in exact size, shape and color.